The Malay Peninsula is home to an amazingly wide selection of mouth-watering south-east Asian specialities and on this tour we visit the classic destinations of Fraser's Hill and Taman Negara, as well as some other lesser-known sites where the birding can be very good. Just north of Kuala Lumpur along the coast is the small town of Kuala Selangor which provides access to a variety of habitats such as coastal mudflats, lagoons, pools, marshes and mangroves. 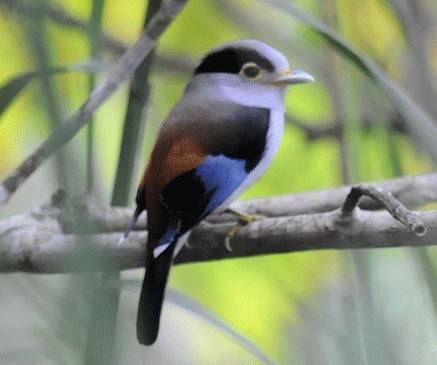 Key targets here include Mangrove Blue Flycatcher, Pied Triller, Mangrove Whistler, Laced and Sunda Pygmy Woodpeckers and the incresingly difficult Mangrove Pitta. Leaving the heat of the lowlands behind we will then head to the cool montane forests of Fraser's Hill which provides us with an excellent opportunity to explore the mist-enshrouded forests that harbour a bewildering variety of birds. From the comfort of our conveniently located lodge we make daily excursions along a network of trails and quiet roads that bisects this vast wilderness in search of an interesting mix of tropical and Himalayan species. This is a perfect destination for the visiting birder with its temperate climate and an abundance of spectacular birds, and it is no wonder that this former British hill station is one of the most famous birding locations in the world. 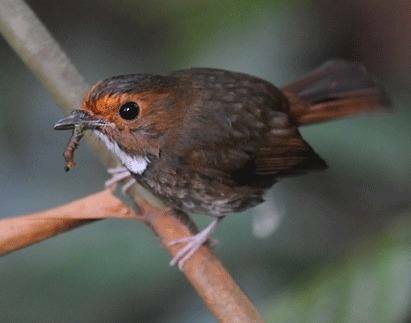 The broadleaved evergreen forests in the Malay highlands harbour a spectacular avifauna with such delights as Red-headed Trogon, Fire-tufted Barbet, Malayan Whistling-thrush, Marbled Wren-babbler and Rufous-browed Flycatcher amongst many others. 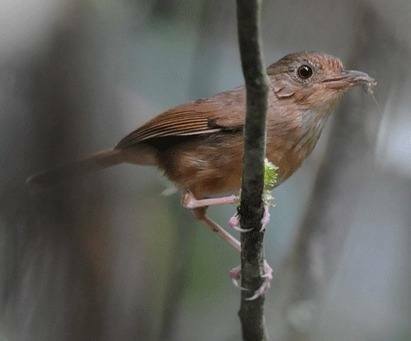 The little-known Krau Forest will be our next stop, and here there is a chance of Garnet Pitta and a few other species that are more difficult elsewhere. From here we will head into one of the most ancient and magnificently pristine rainforests in the world at Taman Negara, where we will make daily excursions on foot and by boat as there are no roads here. 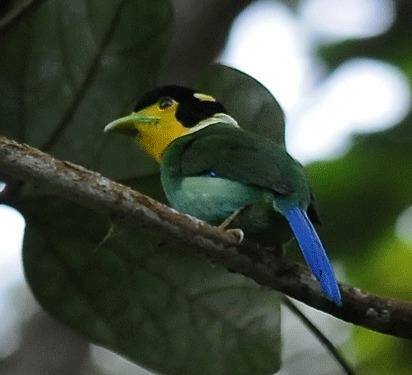 There is a superb network of trails bisecting this vast wilderness and we will search for a bewildering variety of distinctly tropical birds which includes many local specialities and range-restricted species. Our base in this vast wilderness of the largest remaining tract of virgin rainforest in the Malay Peninsula will be at the very comfortable and conveniently Mutiara lodge, close to all the birding sites for a 4-night stay. A veritable feast of amazing birds reside in the forest and we will look for Great Argus, Malayan Banded and Garnet Pittas, Scarlet-rumped Trogon, and the elusive Rail Babbler amongst a bewildering assortment of woodpeckers, kingfishers, barbets, trogons, hornbills, babblers and much more! Leaving here, we will head back towards Kuala Lumpur but not before heading up into the hills once more and looking for the ever-elusive Mountain Peacock-Pheasant, which would provide a fitting finale to our exciting tour across the Malay Peninsula. Included in cost: Accommodation in twin rooms en-suite, all ground transport, all meals, boat rides, all entrance fees, bottled water and services of leaders. Not included: International airfare, insurance, drinks, tips, camera fees and items of a personal nature. Accommodation: Good. We will stay in a comfortable hotel at the hill station of Fraser's Hill and close to all the birding sites and a good lodge at Taman Negara. Tour Code: This is a standard birding tour, where early starts and some late finishes are necessary. There is the opportunity to opt out of any excursion as we will usually return to our hotels for lunch most days. There will be optional early morning bird walks and some long days in the field. Most of our time will be spent on foot, although our bus will always be close by - except at Taman Negara. Expect a rather pleasant climate at Fraser's Hill with days being generally warm, but cooler in the early morning and overnight. In the lowlands it is typically hot and rather humid and there is a chance of some light showers.